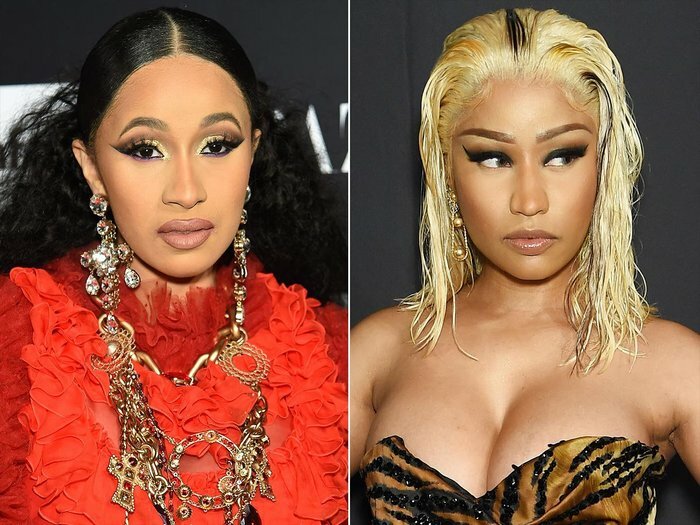 The beef between Cardi B and Nicki Minaj keeps on grinding, with reports saying the pair got into a mild punch-on at the Harper’s Bazaar Icons party held in New York City on Friday night. But what would you expect from two girls from New York ‘hoods? The TMZ report went on to state that Cardi approached Nicki’s table “to address the lies Nicki was spreading” which ended up in fisticuffs. Peep footage of the “fight” and Cardi’s message below. We all know Nicki’s gonna body her with a response in the coming days, so we’ll be sure to keep you posted on that. landed in NY just in time for #BazaarIcons & saw Cardi B & Nicki Minaj fighting. I was sooo tired from the flight but now completely awake ?